The impact of the mafia on our societies is complex and multidimensional: it affects our politics, our economy, our culture, our development and our opportunities. In other terms, it affects our society as a whole. Mafia groups are active and flourishing all over the world and represent a worldwide threat which should not be underestimated. However, it is important to understand that the cultural and social dimension is more accentuated in the territories of origin. If we want to understand how the mafia destabilises our societies, we need to explore those territories where the mafia organisations have been present for a long time. Messina, one of the six largest metropolitan districts of Southern Italy, can be, for its peculiarities, the best yardstick to understand the complex destabilising impact of mafia-type organised crime on society. Messina is a harbour city, a city of transit, separated by a 5-km strait from Reggio Calabria (the capital city of the ndrangheta). Messina’s province was referred to for years as the “provincia babba” (the dull province), where the mafia did not exist and nothing happened, because there were no murders, whilst in Palermo the two big mafia wars were happening. Meanwhile, in reality, the Sicilian mafia was building up and developing in Messina its very own network of contacts with the Masonry and the highest influential political figures, the white collars, whereas the Calabrese mafia was starting to infiltrate other business areas in town. As a result, we witnessed the mafia in Messina pervading every segment of the society. Culture can be a good starting point, as one would be normally drawn to believe that mafia is not interested in it. It is, however, since everything can be turned into a profitable business. Numerous investigations have shown the influence of the ndrangheta on the University of Messina, from the manipulation of exams to the development of much more structured systems of interest, often related to the Faculty of Medicine. In 1998 a well-respected professor of gastroenterology, Matteo Bottari, was murdered according to mafia style. The killers and the instigators have not been found, nor has been the reason behind the killing. In the meantime, in 2013, another professor, suspected of being involved in Bottari’s murder and then acquitted, committed suicide in mysterious circumstances. Beyond this extreme case, an ordinary feeling of the presence of mafia groups and of its external conditioning (through corruption and intimidation) is very well known in the Academia of Messina and all over southern Italy in general. This poses a serious threat to the daily life of students and professors, as well as serious doubts regarding the possibility of being offered proper education there. The credibility of institutions and the confidence of citizens is also challenged in other ways. 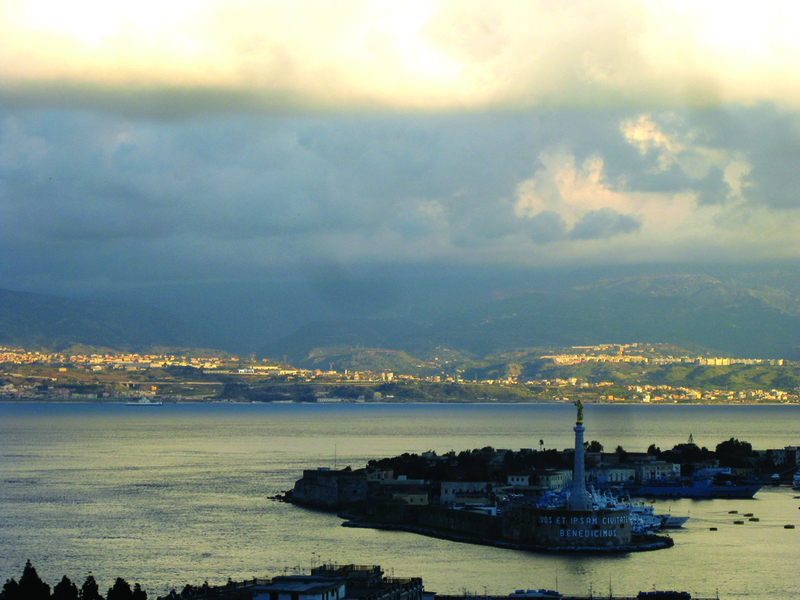 Nobody is surprised in Messina to hear about the links between mafia and politics. Some years before the City Council of Terme Vigliatore, another neighbour small town, was resolved by the Ministry of the Interior for being subjugated by the mafia. Professor Adolfo Parmaliana was one of the people who fought the hardest to achieve this result: he committed suicide some years later, expressing in his last letter all his mistrust and disillusion to local and national institutions, that he accused of trying to punish him for the mere fact of being an honest citizen. Tough stories like this perfectly explain how the mafia defies trust in the institutions, in a region – Sicily – where one of the former president was convicted for aiding and abetting the mafia. Two years ago, activists from “Addiopizzo” (an anti-mafia association), the day before the celebration distributed flyers reading «Our lady, free Messina from racketeering and mafia». They were ‘faced’ by members of the organising committee who, according to the activists and Messina’s public prosecutor investigation, threatened them. Alleged guilty parties are still under prosecution. And when it comes to more material issues, things are pretty much the same. Entire sectors of the economy are in the mafia’s hands, and this is particularly true when the local government is weak. As a consequence particular interest prevails on the public one. The widespread ‘logic of the favour’ threatens democracy and the possibility of citizens to claim their rights. There is a flourishing of racketeering and the state is perceived as being absent. Entrepreneurs flee, looking for more attractive places where to invest their money. Young people flee as well, with the few exceptions of those who are able to find a job (youth unemployment rate in Sicily exceeds 50%) or those who accept the ‘logic of the favour’, asking for a job to influential people. 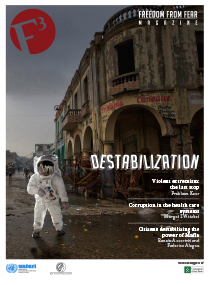 The result of the mafia’s destabilisation is mistrust, poverty and migration. But is everything lost? Not at all. New opportunities have arisen in the last years and ‘heretical’ models have spread. Not only the “Messina model”, as Italian analysts called it, was born from the last elections in June 2013 and consisting in a movement of citizens from the anti-mafia, environment protection and pacifist sectors. They won the elections opposing the two bigger traditional parties, for years involved in a grey area of interests. A few kilometres away from Messina, Maria Teresa Collica, a jurist committed to the anti-mafia movement, became the new Mayor of the small town Barcellona P.G. The town which is defined as the “Corleone of the 3rd Millennium”. Two signs of hope, of change. But also beyond that, other small stories represent important steps in the reestablishment of democracy over the Mafioso power. In Messina, denounces of the victims of the mafia have increased in the last years, as well as the number of anti-mafia associations trying to prevent and denounce mafia’s activities – Addiopizzo and Libera among them. And from now on, the City of Messina will be civil party in all mafia trials in town. Small signs, again, but crucial to reaffirm that something can – and must – be done against the mafia and for our freedom and democracy. (1) Umberto Santino, Scienze sociali, mafia e crimine organizzato, tra stereotipi e paradigmi, Studi sulla questione criminale (1/ 2006), p. 5. (2) Article 416 -bis ¬ of the Italian Criminal Code. (3) Annual Report of the Direzione Nazionale Antimafia, 2011. (4) Fiona Ehlers, ‘Bürgermeister aus Versehen’, in Der Spiegel (40/2013), p. 92.